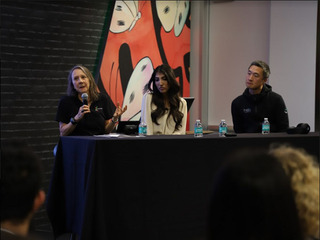 Over the last year or two, Vator has been hosting a series of healthcare salons, in conjunction with HP and UCSF Health Hub, where we cover a variety of topics, including the future of clinics, mental health and lifestyle modification. One thing that entrepreneurs and investors mention repeatedly are the social determinants of health, meaning that a person's health is often less determined by genetics than by zip code. Where you live, your ability to access services, even what food is available to you in your neighborhood, will be a better indicator of your life expectancy than anything you were born with. It goes without saying that those on the lower end of the scale, those in poorer communities and populations, will have lower quality of life, partially due to a lack of access to quality healthcare. It's a problem that, so far, nobody has been able to solve; now Hoy Health is is going to tackle is by providing access to cheaper and better healthcare to those in underserved populations, with a particular focus on Hispanics. Founded in February 2017, the Morristown, New Jersey-headquartered company announced on Tuesday that it completed the first round of its Series Seed Preferred investment. The round was led by 3 Ríos Ltd., RAAD Broadcasting Corp. and Ríos Commercial Corp. While the company won't be saying how much it raised until the round is completed, it did mention that this was a multi-million dollar first close. 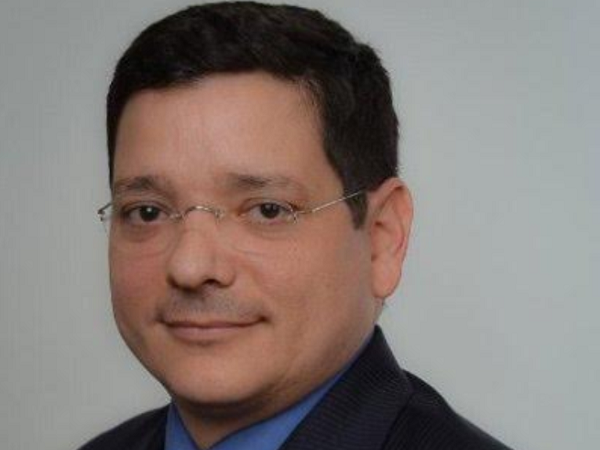 Mario Anglada, CEO of Hoy Health, spoke to VatorNews about the issues that the Hispanic population faces in getting access to care, how Hoy Health solves that problem and the ways healthtech has evolved to meet those needs. VatorNews: What is the problem that you’ve identified? How does Hoy Health solve it? Mario Anglada: Disparity in healthcare for Hispanics and other underserved populations living in the United States has become a growing issue, especially with Hispanics projected to comprise almost 29 percent of the U.S. population by 2050. In fact, Hispanics accessing healthcare in the United States serve as a microcosm of how the system fails the underserved consumer/patient. Rather than being provided care in a systematic way, they are lumped in with the general population, despite most of them experiencing a sub-optimal experience in healthcare that results from cultural and language differences. Enter Hoy Health. Its medication voucher program, HoyMEDS, lets patients purchase medications at low price intervals ranging from $10 to $40 through a national network of more than 62,000 pharmacies. In addition to purchasing them for their own use, they can buy medications for loved ones in the United States, Puerto Rico, Mexico, Guatemala, Honduras, and El Salvador. Hoy also provides chronic care management, health education, and telehealth services from a bilingual team of physicians, nurses, and psychologists. We are taking on a big problem for healthcare. For instance, an estimated 3.1 million Latinos in the United States have diabetes, and more than 60 percent of those who speak only Spanish fail to adhere to their medication regimen, compared to about half of English-speaking Latinos and a third of Caucasians, according to a study in JAMA. Hoy Health is working to fix this problem by making prescription medications affordable and accessible to underserved members of the Latino community. VN: Who is the typical customer for Hoy Health? Walk me through some typical use cases. MA: Hoy Health’s customers are typically consumers who are interested in saving money when purchasing medications. They come to us for our ability to lower cost for their needs independent of their insured status. Our consumers learn that our platform will provide them with access to significantly discounted prescription medication and chronic condition management supplies via our bilingual websites. Upon purchase, the consumer will either receive a voucher for immediate use at over 62,000 pharmacies in the United States or delivery at their loved one’s home in Central America within a 24-hour period. If the consumer purchased their complete 30-day supply chronic condition management HoyLIFE kit these will be delivered directly to their home. VN: How many customers do you currently have? How are you growing? MA: Today, Hoy Health has customers in 14 states and four countries. We are growing by leveraging a social media outreach strategy that exposes our platform’s offerings to consumers. We have also established retail and institutional agreements that allow our retail or hospital/clinic partners to offer our services to their client base. VN: What kind of ROI have patients seen as a result of using your service? MA: Hoy Health’s products offer significant discount compared to cash pay prices. In our medication purchase programs, the consumer can save up to 80 percent. When a consumer uses our HoyRX international program purchasing for their loved one’s in Central America our consumers save on money transmittal fees. Our HoyLIFE kits allow consumers to save over 70 percent on their monthly supplies for the management of their diabetes or hypertension. VN: What will you be using this money on? Will it go toward hiring, expansion, product development? Please give me as much detail as you can. MA: The new funds will be allocated to help build Hoy’s unique platform, leverage consumer data and insights into providing incremental products, value and price transparency, and build on the Hispanic focus to capture broader opportunity in providing access to affordable quality primary care for all insured and non-insured consumers. With this funding, Hoy recently announced new strategic hires, including Martin Greger, chief product officer, Jose Aguilar, chief strategy officer, Patrick Todd, chief marketing officer, Jose Febus, chief technology officer, Hilton Perez, M.D., chief clinical officer, and Lenis Guzman, director of marketing. VN: Who are your competitors? What separates Hoy Health from them? MA: To date, no other company is offering medication vouchers for use across international lines. The focus on Hispanic audiences and answering their needs for diabetic treatment and supplies is also unique to the marketplace. VN: How has the health tech space evolved in recent years, and how has that allowed a company like Hoy Health to thrive in the current environment? MA: The biggest game changer in healthcare is the introduction of innovative technology associated with at-home monitoring and remote care. It will allow healthcare professionals to extend their vision of what a patient's experience and needs are in a community setting, greatly enhancing care and improving health outcomes. Proven technology is being used to leverage decades of health industry knowledge and improve access to care among Hispanic communities. These solutions and digital access align with Hispanic use of new technology tools: 84 percent of all Hispanics are online and Hispanic internet smartphone usage is 10.5 hours per week – 25 percent more than the national average. A medication voucher program that gives consumers the ability to pre-purchase generic medications at affordable price points. They can be purchased for personal use or gifted to a friend or family member either domestically in the U.S. and Puerto Rico, or internationally. A free prescription savings card model allows cash-pay consumers to save a significant percent on brand name and generic medications across a wide network of pharmacies. An end-to-end clinical solution for patients with diabetes, hypertension, asthma, and obesity that includes vouchers for medications, peripherals, testing supplies, tablet, apps, and access to lifestyle coach consults. A bilingual telemedicine platform, which helps underserved populations access the healthcare they need with more ease. These solutions give Hispanics access to care anywhere and at an affordable price, whether it’s in the U.S., Puerto Rico or Mexico, in either English or Spanish, and without the need for any type of insurance or third-party payment. Additionally, Hoy Health’s digital solutions provide full access to healthcare data, while allowing information to be easily shared with any of their approved healthcare stakeholders, including physicians, clinics, hospitals and family members. The time has come to get these kinds of innovative technology solutions into the hands of the people who will benefit the most – and meet the growing need of underserved populations to access quality care and medications that they can afford. VN: What is your ultimate goal with Hoy Health? Where do you want to see the company in the next five years? MA: Our goal is affordable, accessible primary care to everybody everywhere. In five years, I expect Hoy Health will be a global company operating across geographies, allowing any consumer who needs to meet their primary care needs to do so without the need for insurance. VN: What do your new hires like Martin Greger, Jose Aguilar, Patrick Todd, Jose Febus, Hilton Perez, and Lenis Guzman bring to the company? How will they help you achieve your goals? MA: An experienced team of healthcare business executives will enable Hoy to expand market share and its sphere of influence. We now have the expertise on board to bring us closer to achieving our goals more rapidly and build a truly worldwide portfolio of solutions. VN: Is there anything else I should know about the company or the new funding round? MA: Hoy is positioned to go to the next level and expand globally.